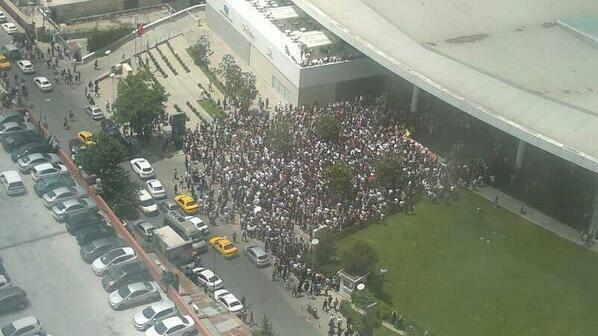 The protests come to the door of the Turkish public TV. Inside, workers and journalists come together. The new protest movements distrust the mainstream press worldwide. It happened in Madrid, in the Arab Spring, or in Brazil, where Facebook was the most effective medium for the ‘Movement for the Passe Livre’. At the root of the "Yosoy132" (Mexico) is the complaint of the bias of the powerful Televisa channel and newspapers close to the government. Connected crowds are organized outside the media loop, as if they did not need it, and create alternative channels (Tomalatele, Occupy Chicago Tribune ...) whose intention is clear in tags like #occupythemedia, #ocupalosmedios, or #ocupamidia. Turkey people took the unrest they were expressing in social media about media silence to public television headquarters. Part of their staff and journalists joined, from the inside, the demonstrations. 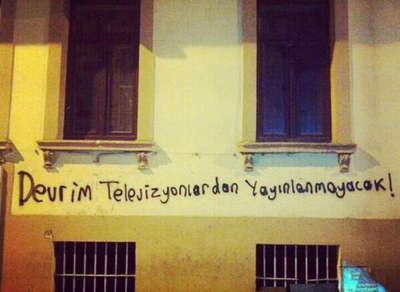 On the street, once again, a claim often seen in recent years: "The revolution will not be televised".